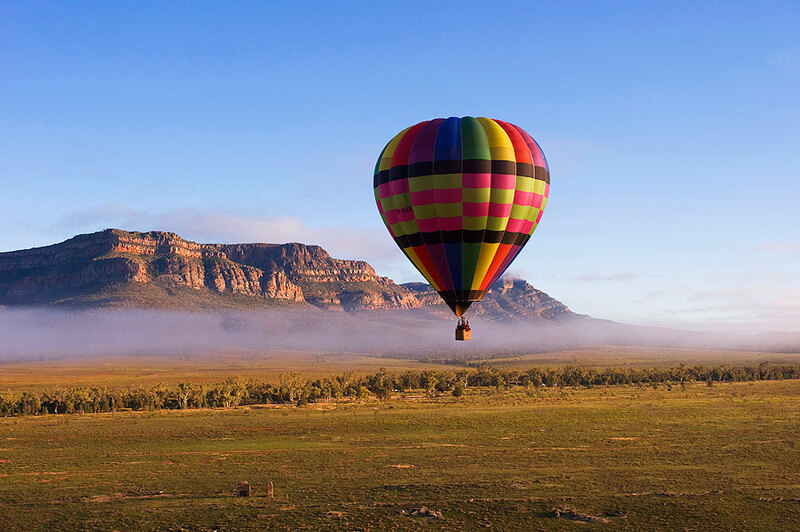 Hot Air balooning over Wilpena Pound. Image courtesy of Rawnsley Park Station. Where is it? 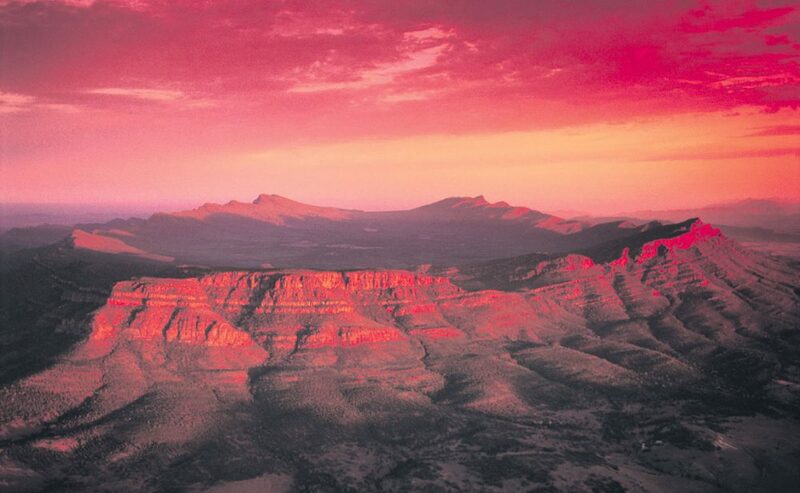 You’ll find the foot of the Flinders Ranges approximately 200km north-west of Adelaide, SA. This truly is a spectacular destination. 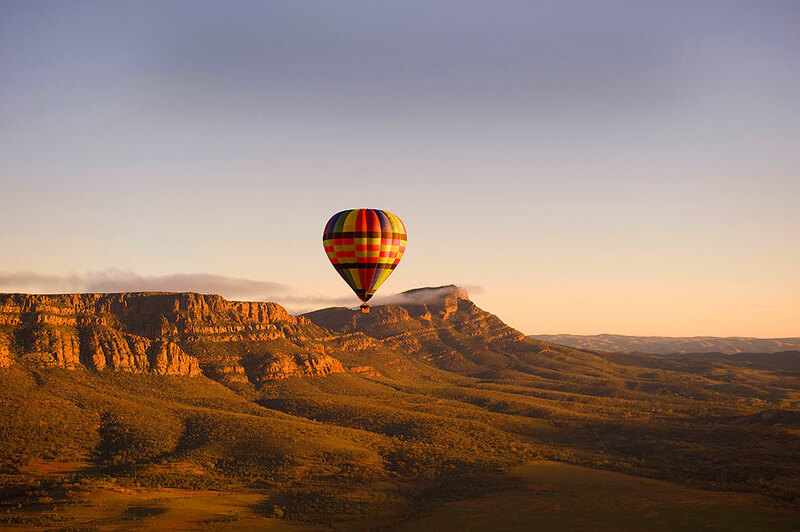 We bang on about the Flinders Ranges a fair bit in the office – particularly Wilpena Pound, the vast natural amphitheatre that’s the backdrop for Rawnsley Park and Arkaba Station – so we’re glad our panel rated it as highly as we do. We’re cheating by making this one thing to do before you die: it’s really three, because there are three distinct regions in the Flinders – the Northern, Southern and Central Ranges. The entire Flinders Ranges is home to excellent cycling and walking tracks (such as the 900km Mawson Trail and Heysen Trail), as well as great food and wine trails. The Central Flinders Ranges are home to the aforementioned Wilpena Pound, excellent four-wheel-driving and ancient rock art in the Yourambulla Caves. You’ll also find the Australian Arid Lands Botanic Gardens here, which are worth visiting for their sculptural eremophilia garden and Flinders Ranges backdrop. 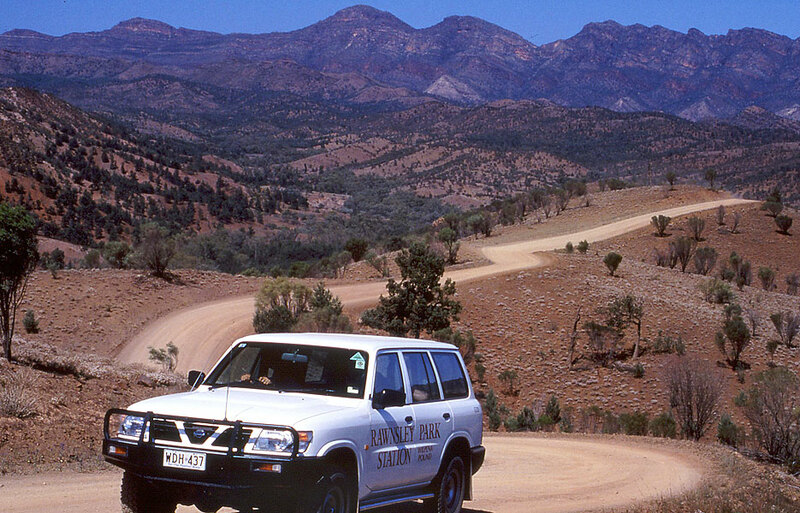 The Northern Flinders Ranges are as outback as it gets, with some startlingly rugged and challenging 4WD trails. It can get pretty hairy here, but if you’re the adventurous type, this is the place to test your mettle. While you’re here, be sure to explore the Aboriginal Dreaming Trail – a two-day, self-drive tour that takes you through Aboriginal communities.